‘For George’ is a little dance dedicated to my husband George Koulas. It came out as an reaction to our ongoing collaboration, life together and also as a reaction to our previous piece “ Happiness”. 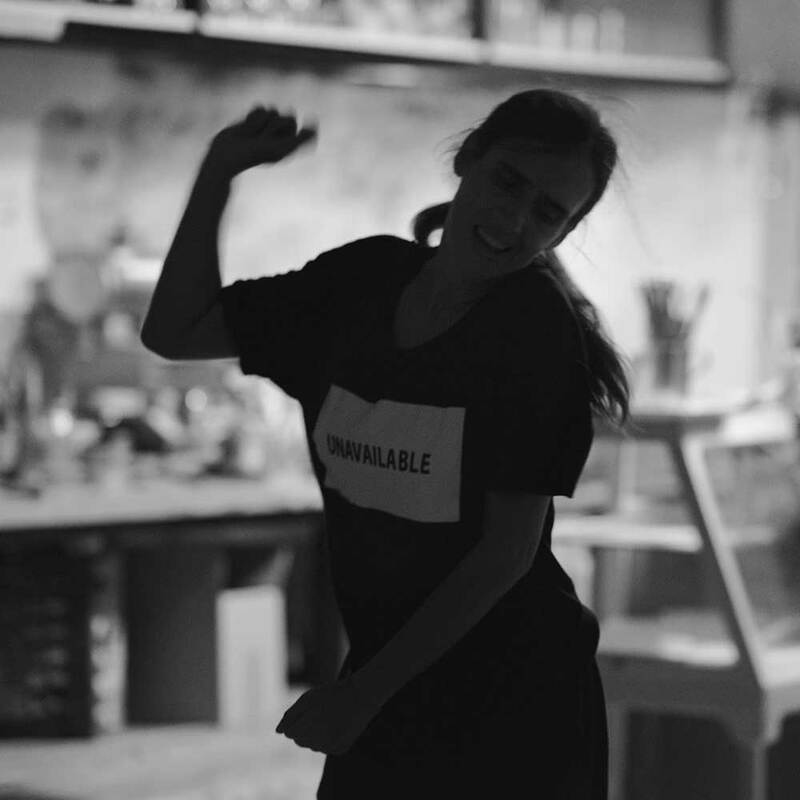 The work was created within the framework of the Choreographic Residency Programme Moving the New 2016 at Dance House Lemesos. Dancer/choreographer Milena Ugren Koulas and musician George Koulas have been collaborating for the last 11 years. Both of them graduated from Codarts academy in Rotterdam, Netherlands. They presented their work in Cyprus and countries abroad like Croatia, Czech Republic, Poland, Italy, Greece, Sweden, Germany, France, Serbia, Spain, Luxembourg. Their piece “Manlike” was selected as one of the Aerowaves priority works for 2015. In 2016, with the support of Dance House Lemesos, Milena and George performed their piece «Happiness» in different places around Cyprus like: music festivals, bars, parks, university halls, parties and theaters.